faster processing to the 2.5 release. OMEGA 2.6 can operate with Windows® Vista®, Windows XP (32 & 64 bit) and Windows 2000 Operating systems. 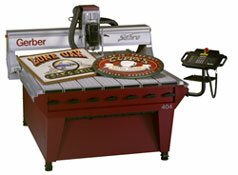 Sabre routers will cut quicker when contours are processed in ARTPath. 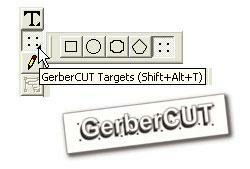 Cut speed now more closely reflects the output speed set by the operator. Click on “Use Software Contour Logic” in the lower right corner of the Job Output dialog box. See the What’s New document for complete instructions. now tracked in the properties dialog box. A log file of all file access activity can also be created and viewed. Keep track of all file open and save activity, and view or clear the log file as needed. The new Tools toolbar offers quicker access to commonly used functions in the tools menu like Outline, Shadow, Warp, Distortion, Effects, Repeats Merge and Posterize Image/Raster to Vector. instructions displayed on the cursor. Horizontal or Vertical text boxes. ©2007 Gerber Scientific Products. All Rights Reserved.